Here is a nice way to start your morning. Start by pre heating your oven to 350 degrees or 176 degrees celsius. Take your rolls and slice the tops off. Be sure to save the tops. 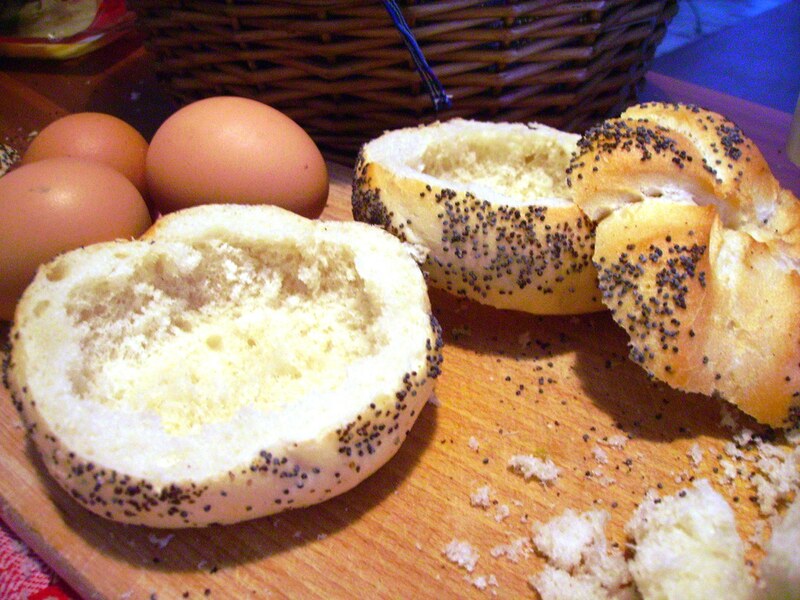 Now hollow out enough of the inside of the roll so an egg will fit inside. 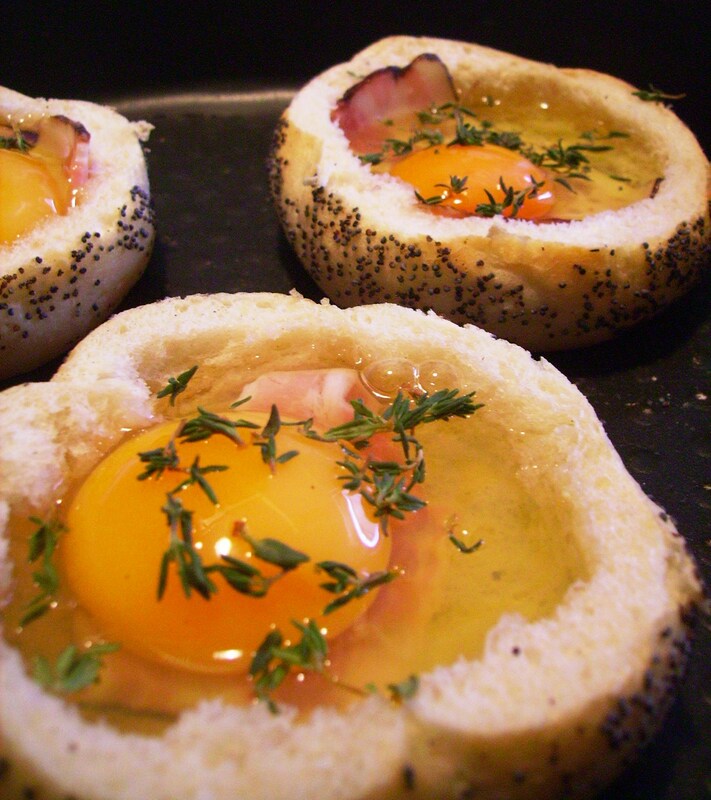 Place a strip of your English Bacon on the bottom of each roll and then place an egg inside each roll. Evenly distribute the Thyme over each egg and sprinkle a small pinch of dried basil over each one. 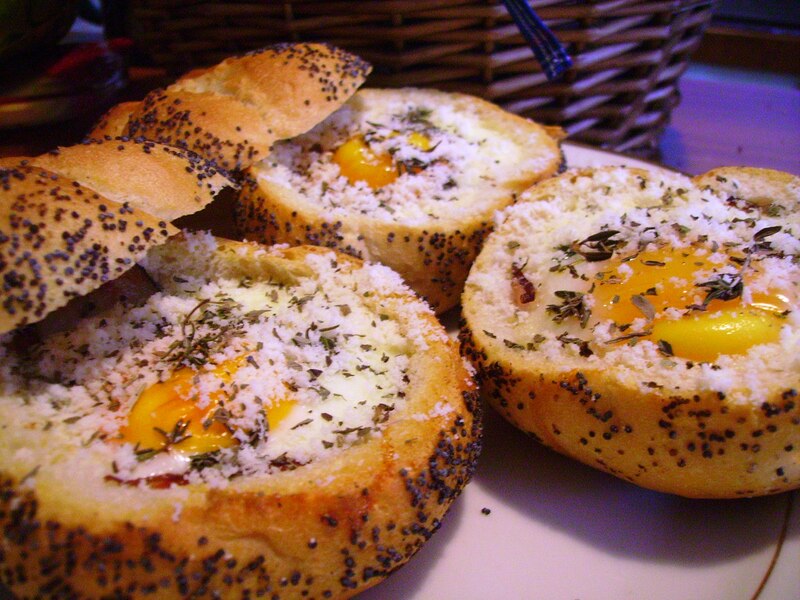 Place them in the oven for about 20-30 minutes, or until bread is toasted and eggs are cooked. Removed from oven and evenly sprinkle your parmesan cheese over each one. Place your tops next to each one and serve. Lots of variations to this and I will be trying another way tomorrow. This entry was posted in Food, Recipes, Restaurants, Retro, Rockabilly, Rockabilly Recipes and tagged Bacon, Basil, Bread & Grains, Breakfast, Breakfast Sandwich, Cheese, Cooking, Cuisine, Eating, Eggs, English Bacon, Food, Herbs & Spices, Meat, Parmesean, Recipes, Rolls, Sandwiches, Thyme. Bookmark the permalink.